Canonical defines Ubuntu’s strategy and drives innovation with a team of over 400 dedicated designers, developers and project managers. Since 2004, we have ensured that Ubuntu is released on time, twice every year. Ubuntu is the leading OS in the cloud — OpenStack is built into Ubuntu Server and Ubuntu is the reference operating system for OpenStack. With our partner network, we make Ubuntu available globally through retail channels and on most major public clouds. Ubuntu is at the forefront of large cloud infrastructure deployments, thanks to Canonical’s experience in building clouds for our customers and our involvement in the OpenStack project as a founding member. Ubuntu is also optimised and certified for the most popular public clouds — so wherever you choose to run your applications and services, you can always use Ubuntu. Canonical has also created several important tools to help customers build, manage and scale their clouds. For telcos and enterprises, Landscape helps administrators deploy and manage Ubuntu clouds cost-effectively. And whether you are using your own cloud or someone else’s, Juju and MAAS drastically reduce the time, cost and complexity of deploying and scaling in any cloud environment. Ubuntu is the preferred development environment for embedded engineers. It is widely used in IoT devices across automotive, industrial, robotics, networking and digital signage industries. Canonical works with semiconductors to make certified Ubuntu images that brings the best performance out of their hardware. With snaps, the universal Linux packaging system, and snapcraft.io developers can easily build and distribute their software across multiple devices and environments. And Ubuntu Core is the all-snap version of Ubuntu, built for security. 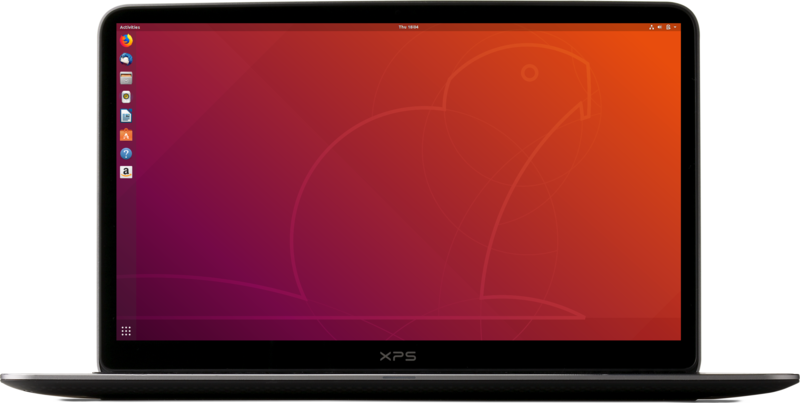 The Ubuntu desktop is not only the environment of choice for millions of developers but also enterprises, governments, educational institutions and anyone looking for a reliable, easy-to-use, versatile and secure operating system. Canonical offers support for enterprise desktop users with Ubuntu Advantage. Canonical works with most of the world's PC makers to certify Ubuntu for use on a huge range of devices. As a result, Ubuntu is now available on computers for sale in retailers and online across the globe. On ubuntu.com you’ll find more information about the platform, our services, our management tools and our partner programs. Leading organisations all over the world turn to us for our management services and consultancy. We help the biggest names in hardware, software and cloud to optimise, extend and deliver Ubuntu at scale.